NORTHRIDGE, Calif.—On a recent afternoon at California State University, Northridge, Nancy Prosenjak was attempting to quiet the graduate students spread out across conference tables in the back of her classroom. She was still missing nearly a third of the class, but she was eager to debrief with her students about their first day of student teaching. “You’re still smiling, this is good!” she told her students as the chatter died down. A few stragglers trickled in, wearily making their way to their seats. The 17 students had spent the morning in classrooms spread across North Los Angeles and would devote the rest of the afternoon to discussing their experiences in Prosenjak’s supervised fieldwork course, a class dedicated to student teaching. 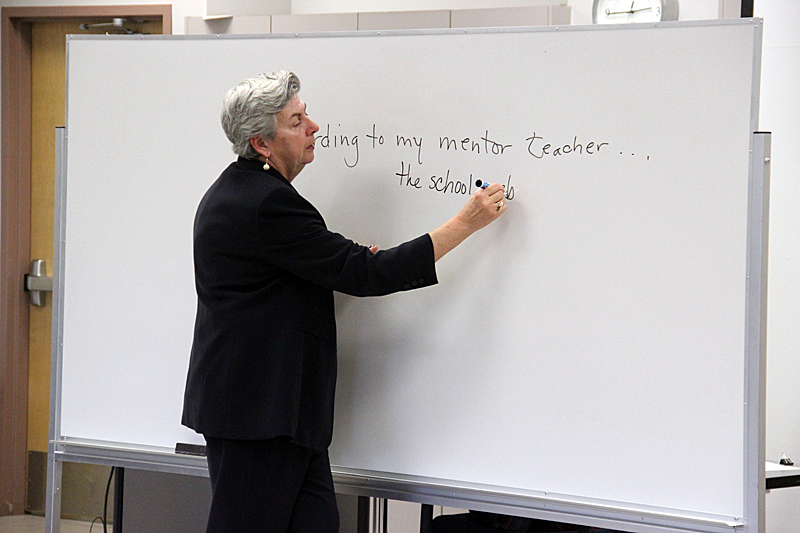 The class is a requirement in the university’s post-baccalaureate teacher preparation program. “Who taught for one hour?” Prosenjak asked. Nearly all students raised their hand. “How did that feel?” Prosenjak asked. For the rest of the semester, the students will gradually take over more responsibilities in local classrooms, many of which are in low-performing schools in high-poverty districts. Then, after a year of coursework, including an average of nearly 500 hours of practice in schools, most can seek out jobs running their own classrooms by this fall. A high-quality teacher can make all the difference to a student who is struggling, according to a growing body of research that has found teachers are the largest in-school factor affecting student achievement. And there’s an emerging consensus that how teacher candidates are chosen and trained can make all the difference in developing teachers with the knowledge and skills to propel their students ahead. But even after students leave schools of education, and after years of reforms, the institutions often have no way of ascertaining if their programs produced strong teachers. In 1998, when only 20 percent of the California’s fourth-graders tested at or above proficient in reading on the National Assessment of Educational Progress, lawmakers in California passed ambitious legislation meant to strengthen teacher preparation programs. The legislation allowed for multiple routes to the classroom and introduced uniform design standards for those programs. It also created new tests to ensure aspiring teachers were ready for the classroom. Schools of education adopted the reforms and adapted their programs beginning in 2002. In California, there are various routes to becoming a teacher, all requiring attainment of a bachelor’s degree, passing several competency exams, and spending time in a classroom. Yet nearly 10 years after the reforms, there is little more than anecdotal evidence—and no hard data—to show whether programs, and graduating teachers, are better than those who graduated before the reforms. Student test scores, which are increasingly used to assess teacher performance, have shown little improvement. By 2011, the number of California students proficient on the national reading exam had increased only five percentage points, to 25 percent from 20 percent. The need for quality teachers is especially urgent in California, where experts anticipate that thousands of teachers will retire in the next few years even as fewer people are attracted to the profession. (Between 2006 and 2011, enrollment in the state’s teacher training programs fell by 33 percent, most likely due to lack of job certainty, educators say.) The retirement figures, combined with a large number of teachers currently teaching in subjects they are not certified in, and an ongoing shortage of teachers in areas like math, science, and special education, have researchers estimating that California could lack nearly 33,000 teachers by 2015. The declining number of students studying to become teachers has forced programs to try new recruiting tactics, including expanding to online programs that can draw in students from rural areas or distant parts of the state. More new California teachers are also earning their degree through district-run programs where education students start teaching in classrooms almost right away, and take classes at a local university in the evening. But for aspiring teachers in California, enrolling in a traditional teacher preparation program through a private or public university is still the most popular route to the classroom. At Northridge, Michael Spagna, dean of California State Northridge’s college of education, says that the school of education underwent extensive changes after the reforms were passed in 1998, which he says was a “seismic shift” for California. Many say that the biggest change to teacher preparation was the introduction of a mandatory performance assessment, a multi-part exam meant to assess how prepared teachers are for the classroom. The exam is required for certification, and is taken either at the end of the program or at certain points during the program, depending on the version of the test the training program uses. Schools of education created classes solely focused on preparing students to pass the exam, which centers on the “teaching event” where teacher candidates videotape a lesson and analyze it in a series of lengthy essays. Programs were also asked to make uncomfortable changes. After the passage of legislation in 1970, students could no longer become teachers after only completing an undergraduate program. Schools of education had to shrink what had been multiple-year courses of undergraduate study into a year-long post-baccalaureate offering. And while aspiring teachers could still begin taking education courses in their undergraduate years, they now had to stay for a fifth year. When the 1998 reforms were passed, schools suddenly had to fit even more required coursework, such as health and technology education, into the year. The reforms brought an emphasis on teaching English language learners, which meant programs had to infuse strategies to reach these students throughout their courses. “We were struggling,” said David Kretschmer, professor and chair of the Department of Elementary Education at California State University Northridge. “It was a matter of squeezing other things out.” The school discarded courses focusing on generic methods of teaching, instead offering methods courses specific to subject areas. Kretschmer says that many courses improved, and the emphasis on English learners has mostly been seen as a success. But other courses didn’t drill down as deeply as they used to. “That was just an untenable position, because we couldn’t do what we needed to do,” he said. As schools of education tinkered with their courses and focused on preparing teachers for the new test, experts began to realize that there was no accountability system to make sure the reforms were working. In 2006, Sharon E. Russell, a professor at California State, Dominguez Hills, published one of several reports that highlighted the difficulties in tracking the impact of the teacher preparation reforms and argued for creating a system to connect teacher performance with student achievement as a way to see if they were working. Officials at teacher preparation programs say they are eager for guidance, and they point to flaws in the state’s current accountability system for teaching programs, which looks at factors like admissions requirements and class offerings before approving programs. 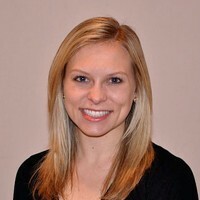 Julie Gainsburg, associate professor at California State University Northridge, was part of a research team that in 2009 attempted to study the classroom performance of recent graduates. The team found that it was hard to disaggregate the teacher preparation program’s impact from other factors, like a teacher’s own philosophies about teaching, or professional development they receive while teaching at their school. “Unfortunately we don’t know a lot about what happens to our graduates when they go out,” Gainsburg said. Several other researchers from Northridge have attempted to study the performance of their teachers after graduation by using student test scores from the classrooms of recent graduates, however. In 2007, David Wright, the director of the California State University system’s Center for Teacher Quality analyzed how graduates from Northridge compared to those from other teacher preparation programs in the state by looking at student achievement data. Wright reported that in reading, graduates from other programs tended to slightly outperform CSU Northridge graduates. But another study found that teachers trained by California State University programs appeared to be more effective at teaching math to English language learners than teachers trained elsewhere. The Center for Teacher Quality has produced annual reports since 2010 that compare student test scores of teachers within various California State University campuses against those from other programs, but the center cautions that test scores must be supplemented with other data because California’s tests don’t completely measure all aspects of what a student has learned. Spagna argues that student test score data is the key to helping teacher programs—and the state—figure out whether they are succeeding. “No institution of higher education, no teacher preparation program, is ultimately going to be able to tell how successful they were without pupil learning [data],” Spagna said. The problem is that while the college sends out surveys to graduates and employers, Spagna says it does not receive information from local school districts about how effective graduates are in their classrooms. “The right side of the equation is still missing,” he added. Besides the surveys, programs can also look at the results of the performance assessments, which candidates take before receiving their credential. Teacher educators mostly praise the test because they say it helps them develop thoughtful teachers, but some question the rigor and credibility of the tests, which can be taken twice in California and which are scored by the institutions training the candidates. One of the performance assessments, taken by about 30 percent of all teacher candidates in the state, has a 94 percent pass rate for first-time takers. And some say success on that exam does not guarantee a teacher will be strong. “It’s problematic,” said Gainsburg. “To imagine that this test given at [this] time…in their teaching career should correlate to what their kids are doing five years later, it’s so indirect,” she added. 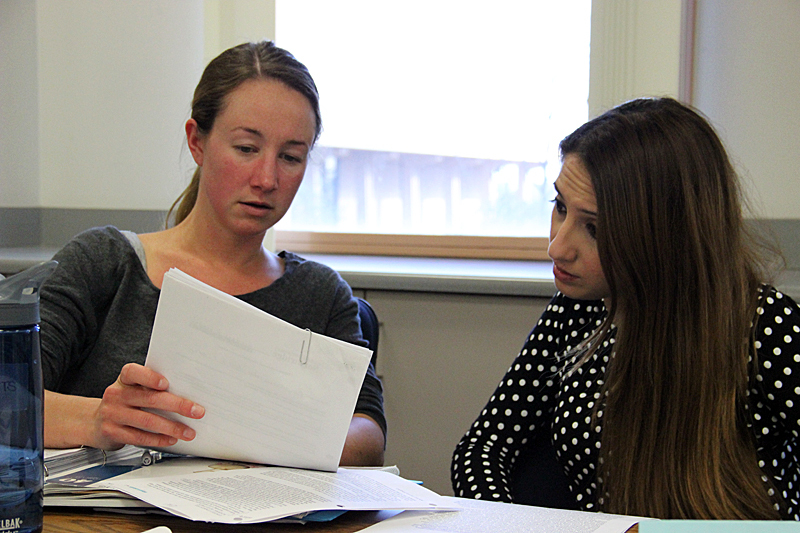 California is not alone in grappling with how best to improve the development of new teachers. Elsewhere, education schools are under fire and also dealing with new competition, as online programs and alternative pathways vie for a shrinking population of people interested in becoming teachers. A national debate has raged for the past few years about whether student test scores can provide a reliable and fair measure of teacher performance. Using those scores to examine a teacher’s academic training is also complicated. In California, experts say it is difficult to tie a teacher’s performance directly back to the school they attended, in part, because another aspect of the 1998 reforms required teachers to receive additional training on the job. “There are a lot of factors that go into a teacher’s performance in the classroom, and certainly some of those do happen after teachers leave the preparation program,” said Sarah Almy, director of teacher quality at the Education Trust, a Washington D.C.-based advocacy group that pushes for more accountability in education. James Wyckoff, director of the Center on Education Policy and Workforce Competitiveness at the University of Virginia, agrees that it can be complex. But he says that some researchers have found that it is helpful to compare the success of teachers from different programs. “The information we’re getting from this is better than nothing, which is sort of what we’ve had before,” he said. Other states have increasingly embraced the use of student test scores for measuring teacher programs. Louisiana has used student test score data since 2006 to determine which teacher training programs are most effective. While some say it has raised accountability for schools of education, some education schools have pointed to flaws and called the systems unfair. The federal government has also tried to regulate quality in teacher training. In 1998, the same year California passed its reforms, Congress passed a new version of the federal Higher Education Act that required states to identify, report, and help low-performing teacher preparation programs. But like California’s law, the impact of the requirements still isn’t clear more than a decade later. Each state can determine its own criteria for evaluating programs, and in the past decade, only 25 states have identified a program as “at-risk” or “low-performing.” And among the 42 states and the District of Columbia, which provided a detailed description of their criteria to the federal government, 17 states and the District of Columbia used only a single criterion to evaluate teacher preparation programs, such as the program’s completion rate or its pass rate on state certification assessments. At 12:15 on a recent Tuesday afternoon, Lynne Goldfarb began the last day of the semester for her master’s level humanities class in the University of Southern California’s education program. This was not a typical USC classroom; Goldfarb’s class is held weekly online, with just two students logging on from Los Angeles and Phoenix, Ariz.
“Today we’re going to look at how the two of you, in your own individual ways, in your own individual classes, have applied what you’ve learned in this class,” Goldfarb said, looking into her laptop’s camera. With a few quick clicks, Goldfarb made of one her students the host of the online classroom, which would allow the student to share what was on her computer desktop with the class. “This is sort of a game changer,” Goldfarb said, referring to the platform that USC uses for its online program, which allows students to see each other, share their computer screens, and chat live during class. She says that one of the benefits of the online program is the ability for students from across the country to share experiences and strategies with each other. “It’s a cross- pollination of sorts,” she said. The online class is the product of USC’s evolving college of education, and a distant byproduct of the 1998 reforms. With fewer students enrolling in schools of education, an increasing number of traditional programs have started online components to draw in students who may find distance learning more convenient. The programs with the biggest enrollment numbers in California are now institutions with extensive online offerings, according to federal data. But Karen Gallagher, dean of USC’s Rossier School of Education, says that although the online program has high enrollment rates, there’s no data to show if the teachers trained online are better—or worse—than those trained in brick-and-mortar classrooms. Both education schools and would-be reformers of teacher training have also embraced the idea of reaching out to a new population of potential teachers, because critics of teacher preparation programs say their biggest problem may be the kinds of people they recruit to become teachers in the first place. For years, colleges of education have battled reputations of attracting students with low test scores and grade point averages. According to a 2011 College Board report, SAT takers planning to major in education scored an average of 480 in reading—above some, but below most disciplines, including law, engineering, and psychology. And among teacher preparation programs, admissions requirements vary greatly. California requires a minimum score on the entrance exam students must take before they enroll in any teacher preparation program, but it’s extremely low. The cut score on the California Basic Educational Skills Test is 123 out of a top score of 240, or 51 percent— a percentage that would be considered a failing grade in most classrooms. The test is split into three sections, which can be retaken as many times as needed, and scores from individual sections can be cobbled together to make a passing score. “If you are an intelligent ninth grader, you can probably complete it with very little problem,” said Kretschmer, the Northridge professor. And while some schools have chosen to raise the cut scores or GPA required for admission, not everyone agrees that tougher admission requirements will result in a better teacher. “People say that’s a no brainer; you’re going to get better teachers if you increase the GPA,” said Spagna, dean at Northridge. “I would say that’s not a no brainer.” Spagna said some traits, such as having a cultural connection with students, may also have a positive effect on a person’s ability to be a good teacher. At Northridge, students say the many requirements needed to graduate, and the packed programs that often require long days of student teaching followed by evening classes, have served them well. Nancy Prosenjak’s class is filled with others like him, who were attracted to the program because they say it has a strong reputation among area principals. 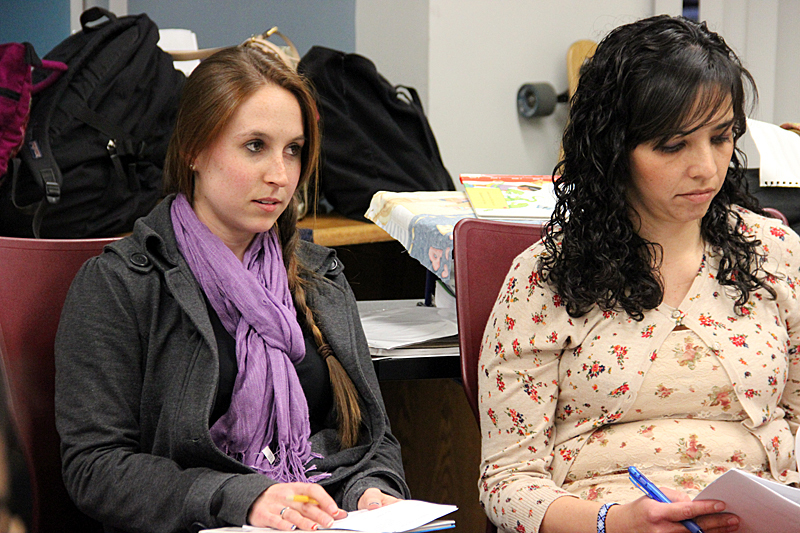 For these future teachers, it was all the data they needed to judge whether the program was working or not.